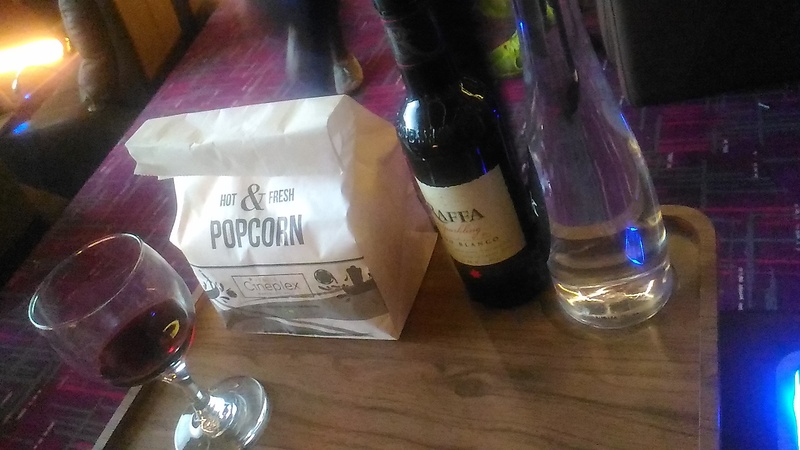 Being single has it’s downside, especially if you feel like going to a movie and you wanted to cuddle up with an intelligent gentleman (I specifically mentioned “intelligent” because all I’m encountering were moronic guys). That’s why whenever I feel like wanting to watch a good movie, I’d prefer to watch it in DVD or Netflix instead to save me from feeling so lonely and pitiful looking (insert pathetic stupid emoji here) haha. But to those of you who have been lucky on the love department, here’s a recommended place for you and your special someone. 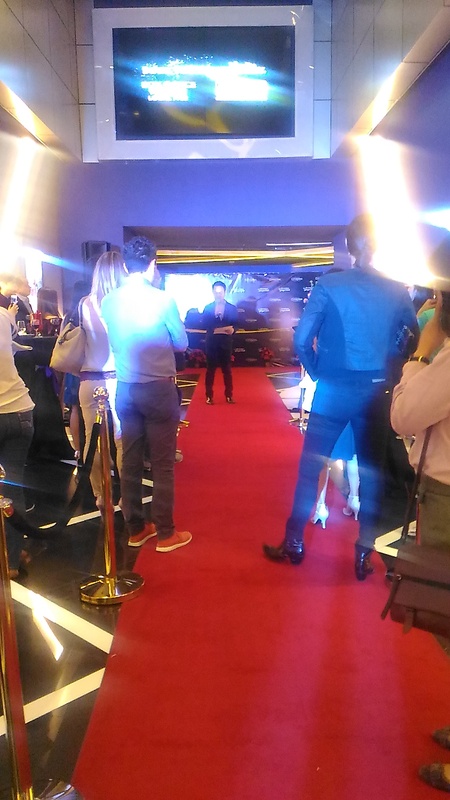 Megaworld invited me to attend the ribbon cutting last Friday of Venice Cineplex in Venice Grand Canal Mall at McKinley Hill. 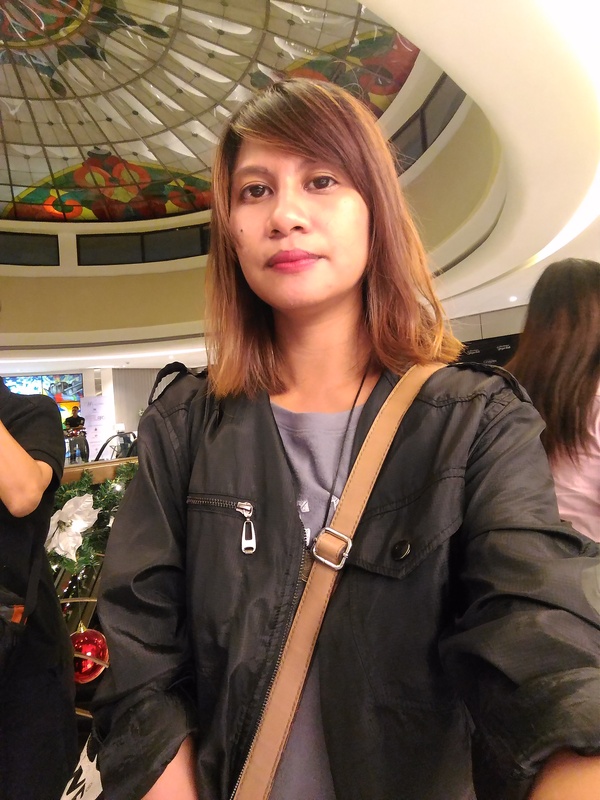 The country’s most romantic mall just got more exciting with a first-rate movie viewing experience giving shoppers and movie enthusiasts more reasons to celebrate the season at McKinley Hill’s premier lifestyle destination. 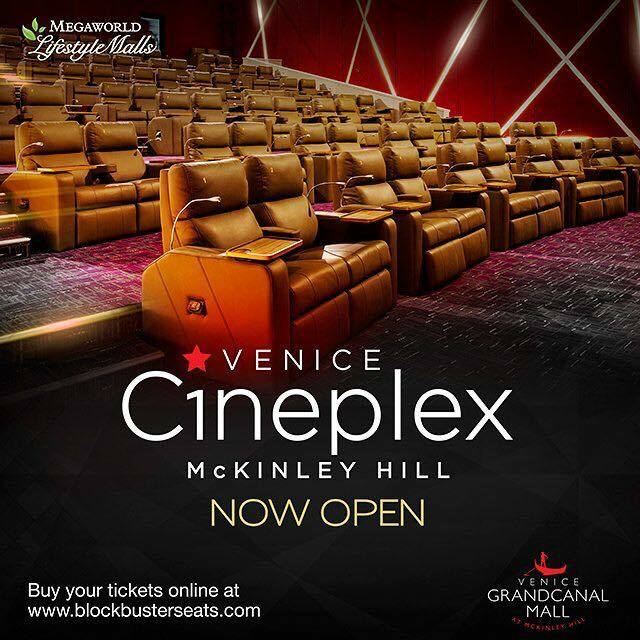 Located on the 3rd floor of Venice Grand Canal, the state-of-the-art Venice Cineplex is now open for moviegoers. 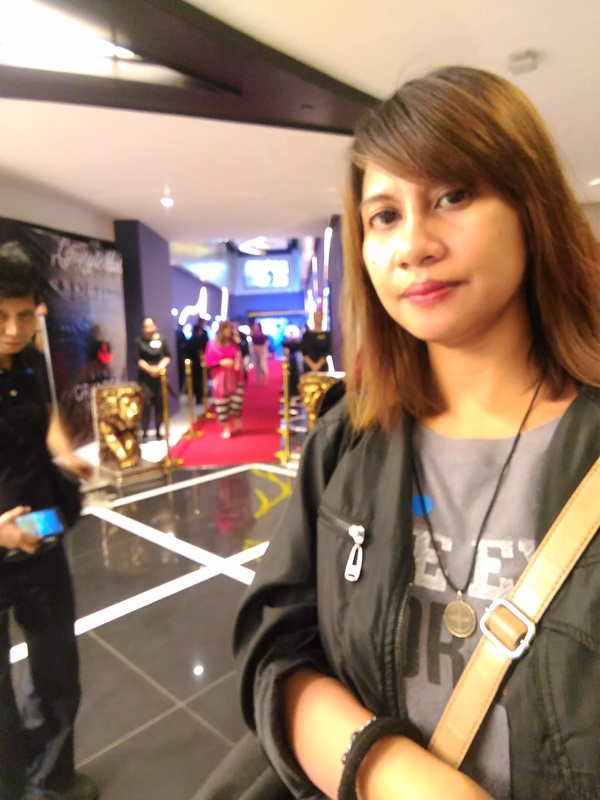 Five world-class movie theaters with plush and comfortable seats and equipped with the latest big screen and sound system technology guaranteed to elevate the film viewing experience like never before. Cinemas 2 and 5 will be operating in the Dolby Atmos System, an award-winning sound program created to give movie lovers the most innovative and immersive experience in film viewing, thanks to its multidimensional surround sound. Dolby Atmos creates dynamic audio with pinpoint clarity though 64 sound channels and by strategically placing speakers all around audiences. This multidimensional sound realism redefines the movie experience without distracting from the action on screen, thus making Dolby Atmos theatres the optimal choice in viewing the latest blockbuster hits. 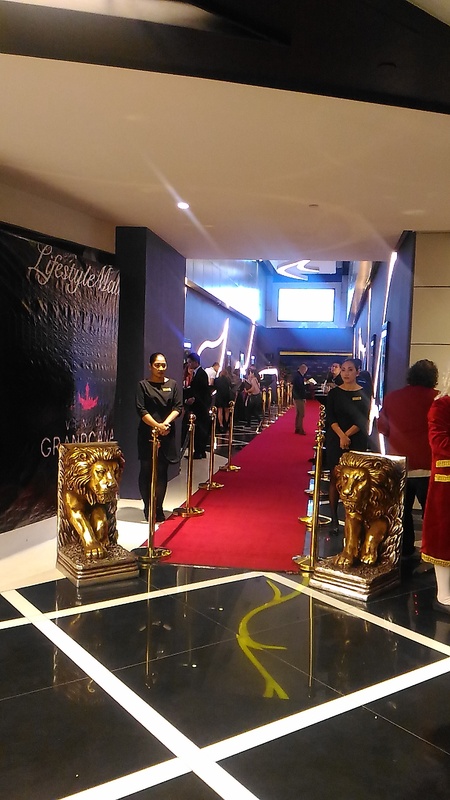 The most striking and innovative feature of Venice Cineplex is its VIP Cinema, a signature of Megaworld Lifestyle Malls in its Eastwood, Lucky Chinatown, Newport and Uptown Cinemas. I love the feeling of being in a VIP setting. 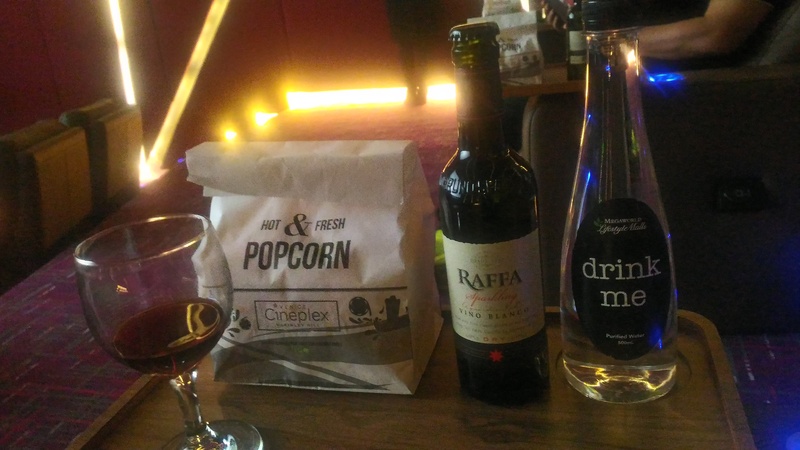 Imagine having a movie date with someone special while having wine and popcorn. If you feel like wanting more wine, just press a button and a butler will be there to serve you. 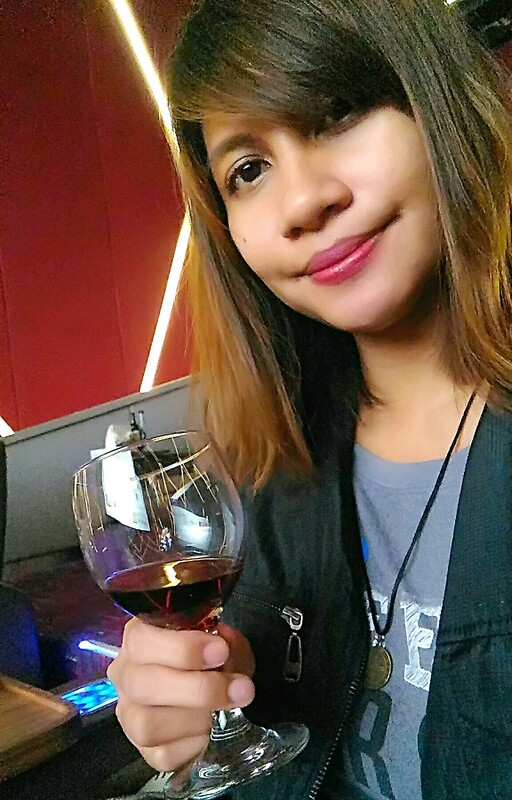 Me and my red wine. Isn’t life so amazing? The reclining seats with buttons to press for popcorns as well. 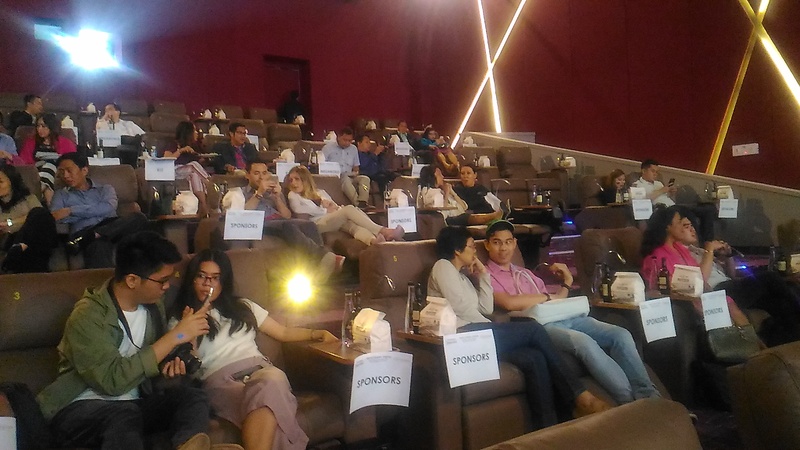 Venice Cineplex VIP Cinema offers a more premium and exclusive feel and is perfect for movie dates with its luxurious reclining leather seats. 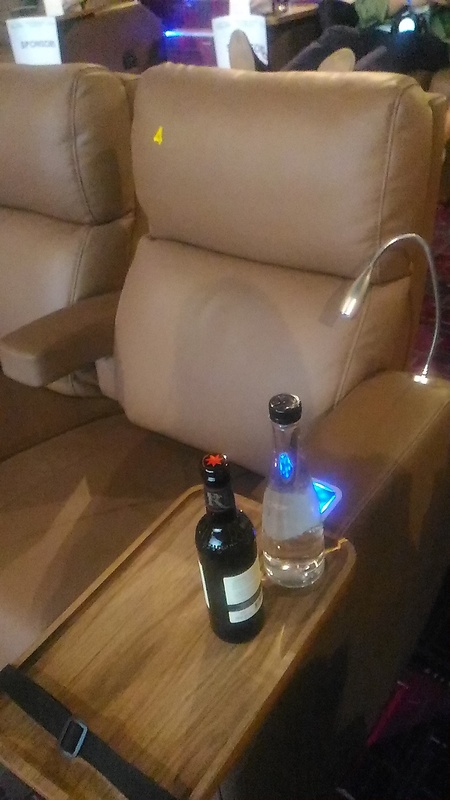 It also offers a butler service that will keep drinks and popcorn flowing with a touch of a button for a more convenient movie viewing experience. 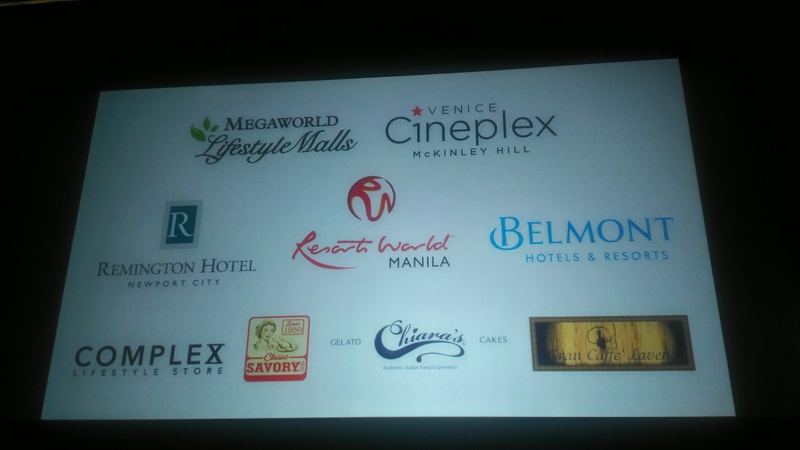 For added convenience, moviegoers can also buy their movie tickets to Venice Cineplex at http://www.blockbusterseats.com. 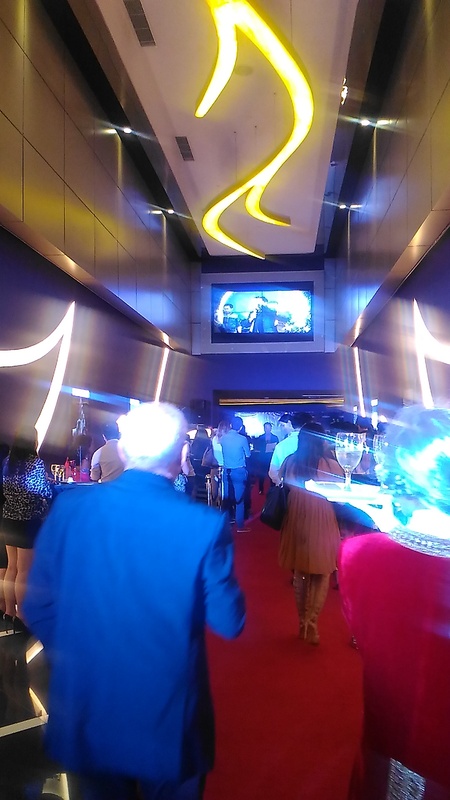 Elevate your movie viewing experience at the brand new Venice Cineplex at Venice Grand Canal. For more information, please call the Venice Grand Canal Concierge at 624-1971, 09175129934 or send an email to veniceconcierge@megaworld-lifestyle.com.